Sorry I didn't post a video yesterday, I am still in the middle of so much chaos from moving and starting a new job, and I have no internet. I can't wait for the weekend because I am in major need of a break. So I'm going to keep this post short today, its very straight forward seeing y'all all know my crazy love of graphic tees. 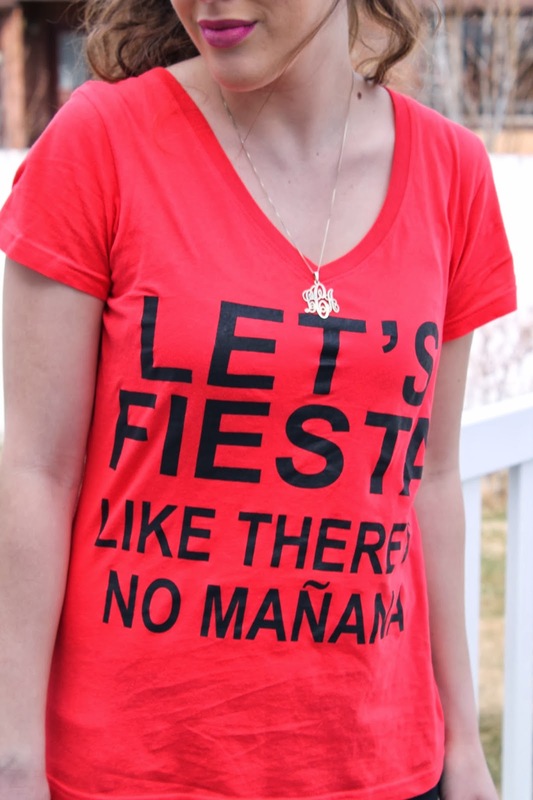 I love this tee though, "Let's Fiesta like there's no Manana" I couldn't agree more, after everything that has been going on in my life I believe that we should live it up, and just enjoy life! 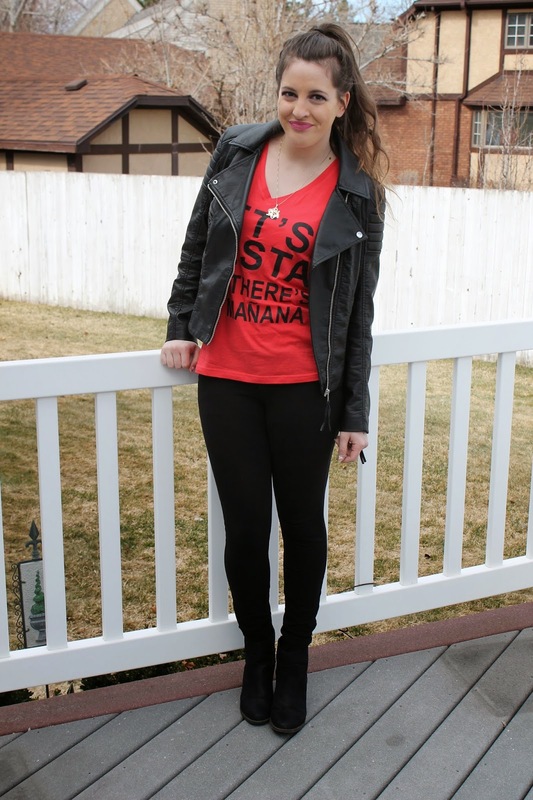 This tee is from Tshirts314, I love Tshirts314, they have some really fun tees, so make sure to check it out! 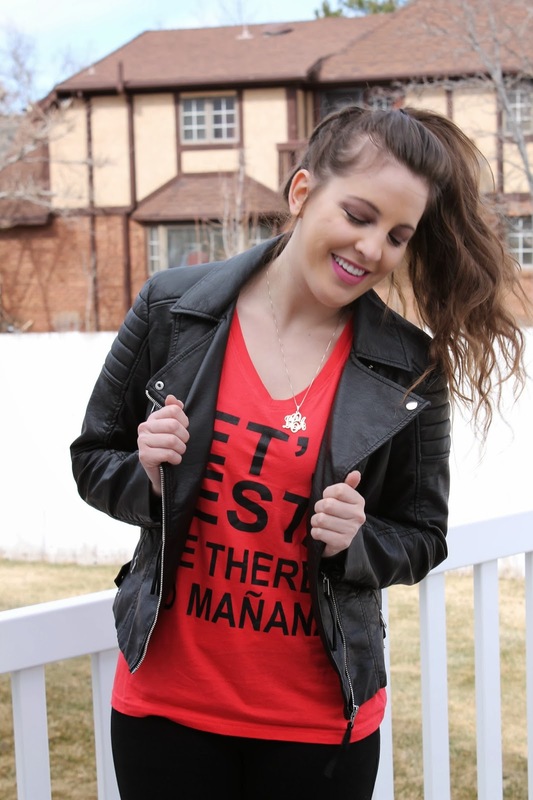 Also make sure to enter to win some cash for your new Spring wardrobe HERE! Cute outfit! This looks like something I would wear for sure! I love your moto jaket!